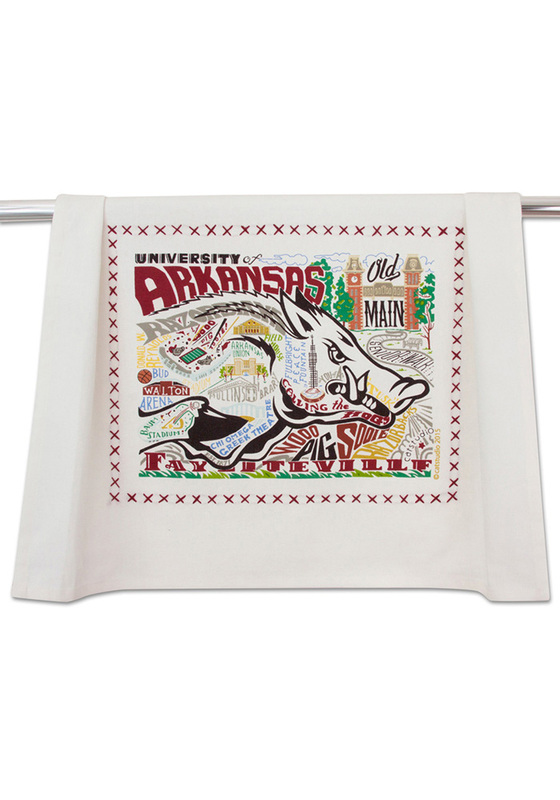 Put a little Arkansas pride in your kitchen with this printed and embroidered dish towel. The design is silk-screened, then framed with a hand embroidered border on a 100% cotton dish towel (hand towel/guest towel/bar towel). Three stripes down both sides and hand dyed rick-rack at the top and bottom add a charming vintage touch. Delightfully presented in a fab organdy re-usable pouch!